No matter who is in charge, we often feel that we could do it better. You look at what's going on and think, "You know, I could fix this all really easily. If only I was the boss." Well, in The Primary, you are looking to become the President of the United State of America (*Lump begins to play*). Can you win over the voters and become the most powerful person in the free world? The game will be coming to Kickstarter March 15th. 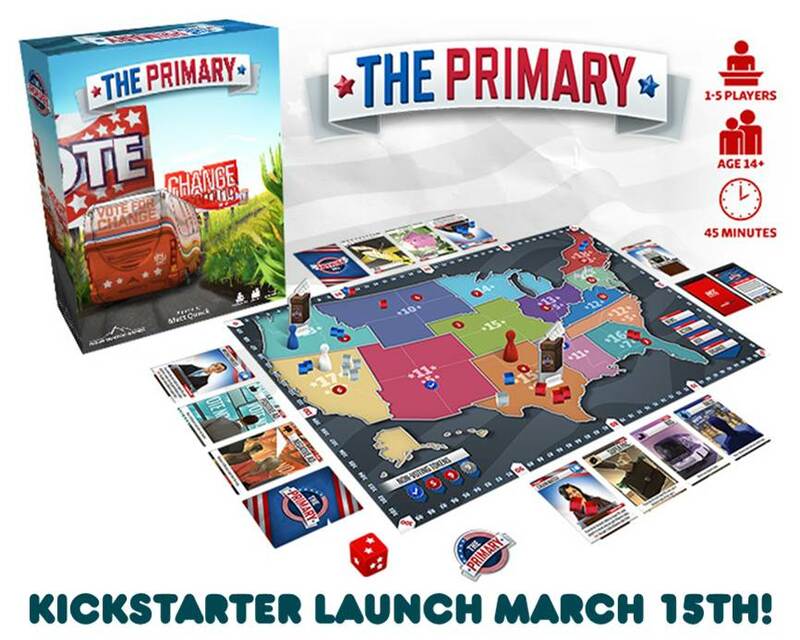 The Primary is an election-themed board game of campaign strategy and tactics. 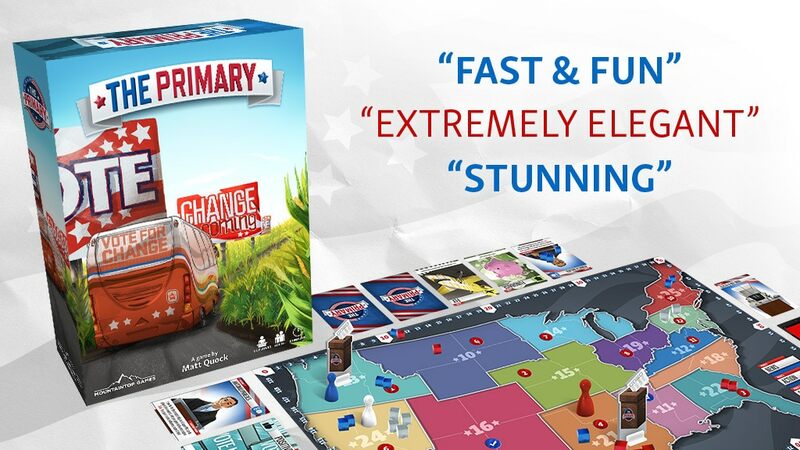 Players compete as candidates within one political party, all vying to become the nominee for President of the United States! Plan your actions in order to gain influence and win regional delegates - you will travel across the country, host rallies, fundraise, advertise, and gain favor with powerful Super PACs. Win the most delegates and win the game!